We have another tremendous Harry Potter exclusive Pop! vinyl in stores this week, Dobby! This Forbidden Planet International exclusive stands at 10″ tall, and is a must-buy for fans of the franchise! Check with your local FPI today to grab yours! Funko Coming Soon: Jurassic Park Park Vehicle! 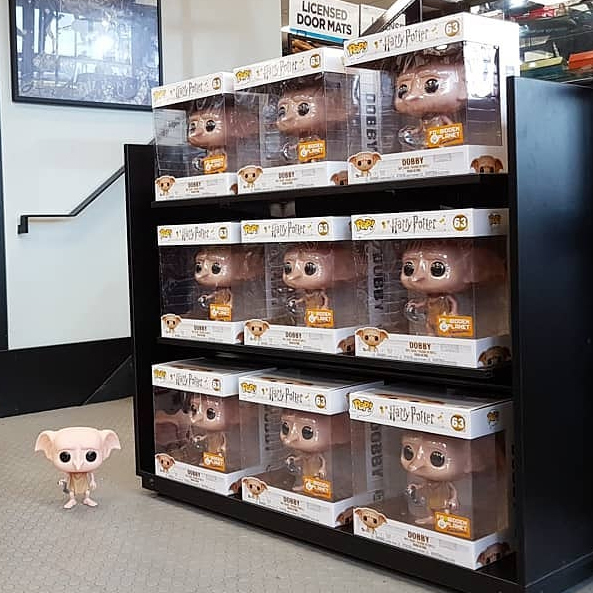 Hi I was just enquiring how much the 10 inch Dobby Funko pop is please? Hi Gillian, please contact the Middlesbrough store directly on middlesbrough@forbiddenplanet.co.uk or on social media on https://www.facebook.com/FPMiddlesbrough/ for the fastest response. Thanks.